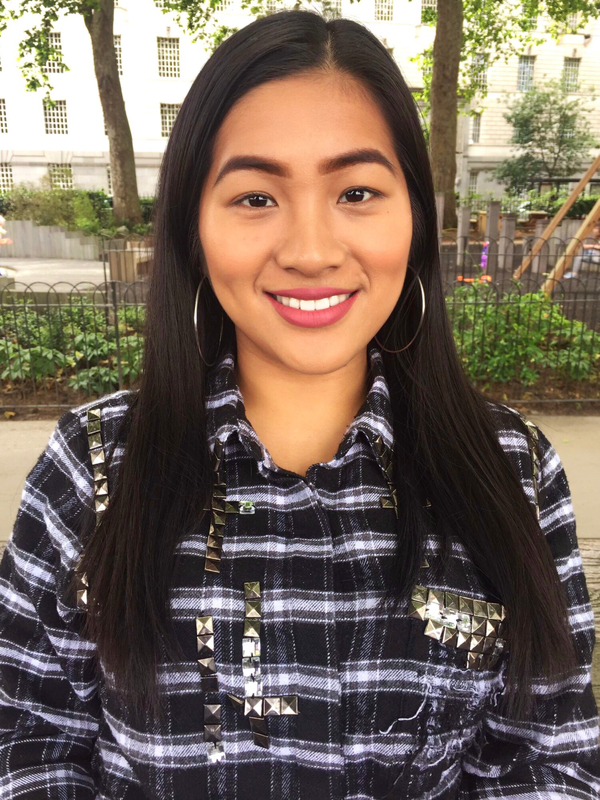 Lip creams and lip stains are such a big thing in the beauty world right now. 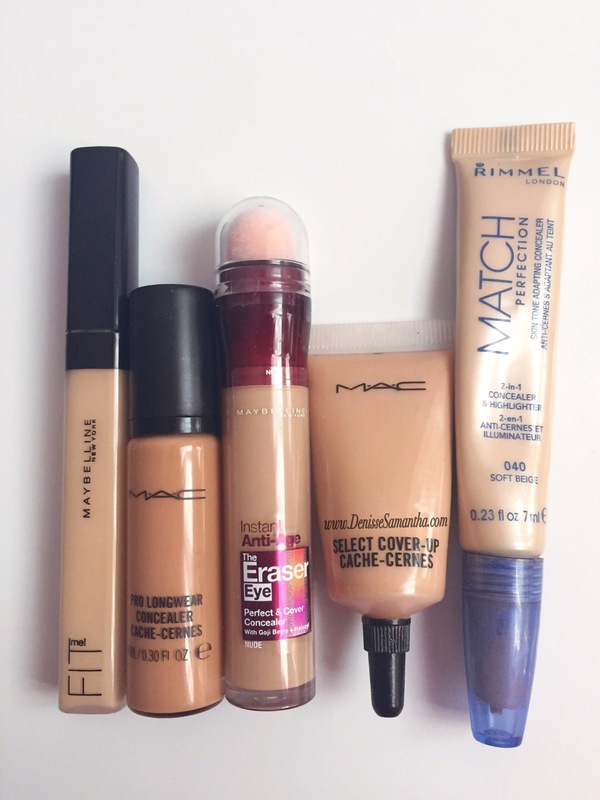 There are so many options from both high end and drugstores brands. I have been wanting to try the Sephora Cream Lip Stains as they are recommended by so many beauty bloggers. 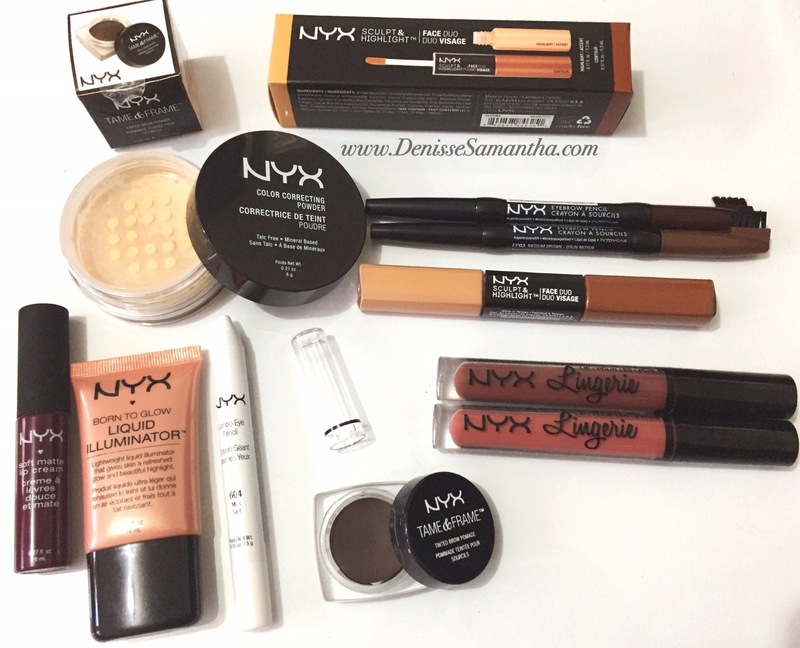 However, Sephora products are very hard to get hold of as we don’t have a store here in London. There are available websites online but the shipping fees are crazy. I picked mine up when I went on holiday and made sure I bought a few to last me for a long time. 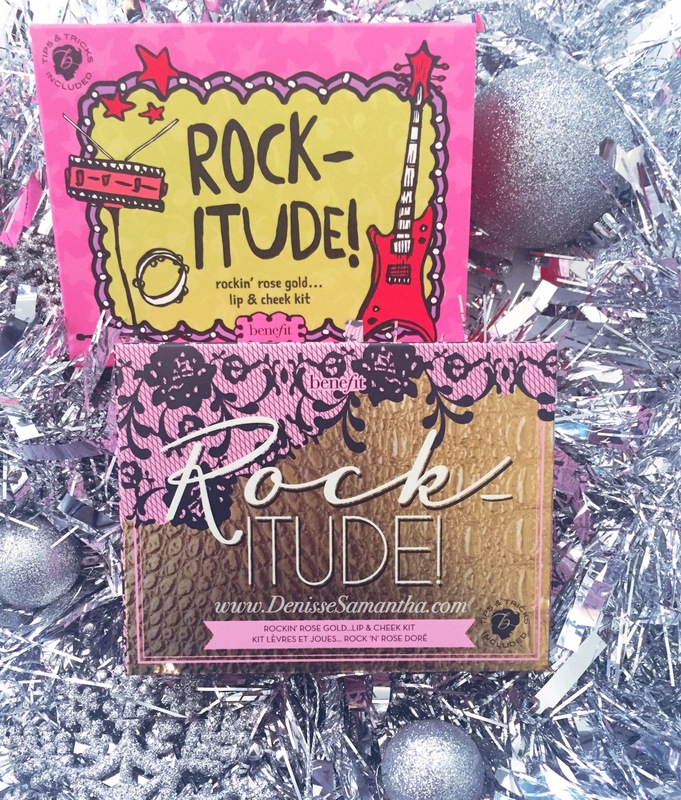 It is very pigmented; mauve pink shade with dark undertones. 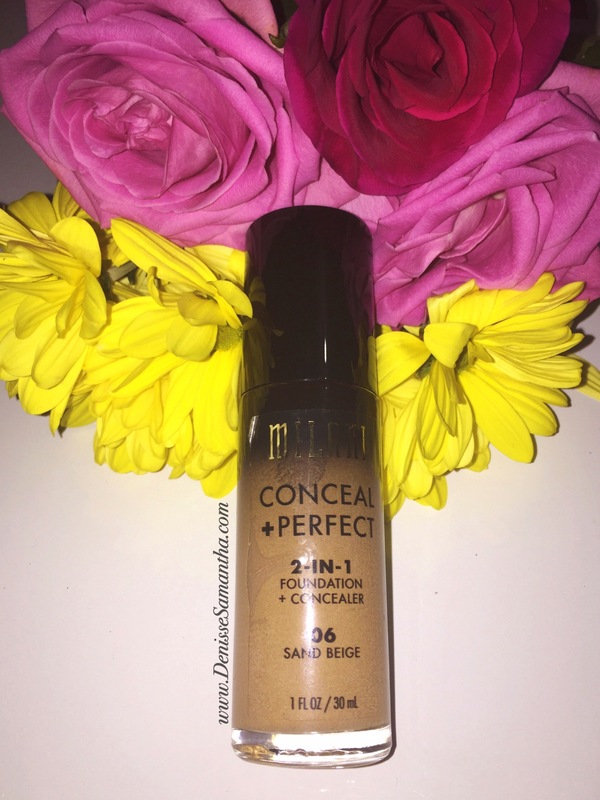 It goes on creamy and dries into a beautiful matte finish. It is a lightweight stain and does not feel sticky at all. 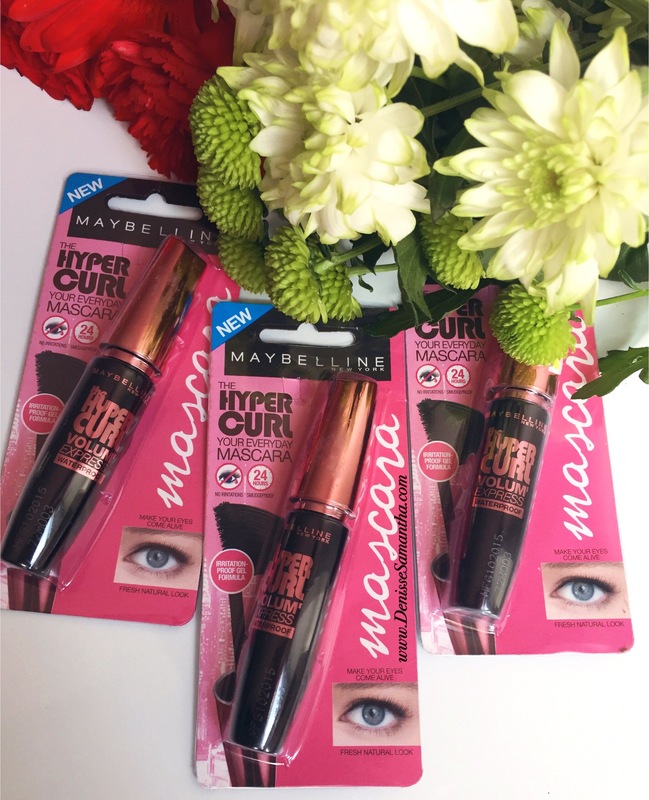 It is long-lasting on the lips and does not usually require a touch up. 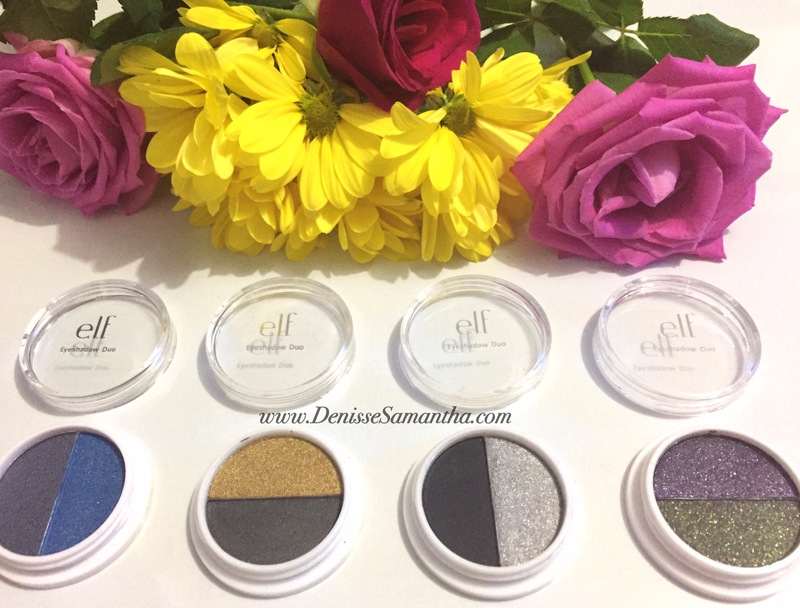 The collection has 15 shades in total including both matte and satin finishes. It is not very accessible here in the UK. It is possible to order on the Sephora website but be aware of the shipping fees. There are beauty blogger that keeps comparing this product to Stila Liquid Lipstick in shadePatina as they said that it is the perfect dupe for it. 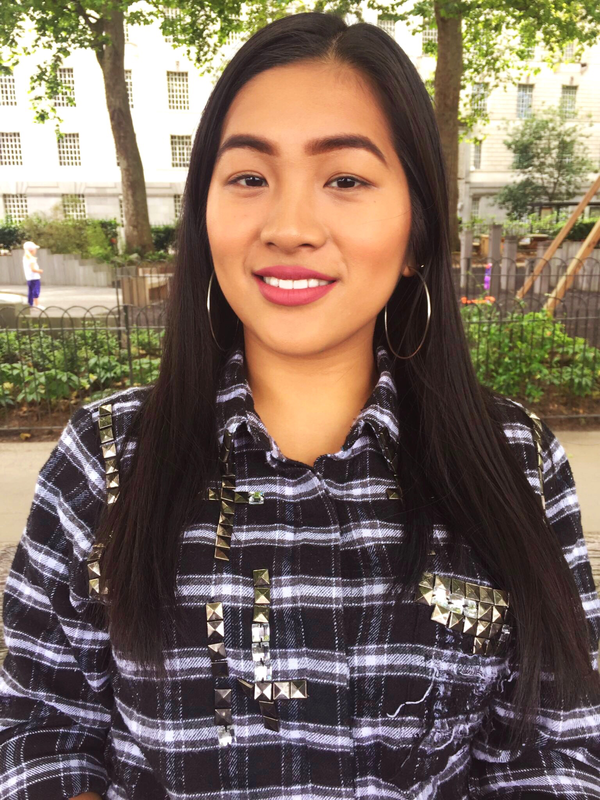 However, I could not say for myself as I do not own the Stila liquid lipstick. Make sure to exfoliate your lips especially if it is dry and peeling. Apply balm to give moisture to the lips before applying the product. I usually scrape off the excess from the applicator on the side of the tube to make sure that I don’t pick up too much of the product. I personally don’t use a lip liner with this product and I start in the centre of my lips and smooth it outwards towards the corners of my lips. Stay away from oily foods to make it more long-lasting. I give Sephora Lip Stain in Marvelous Mauve the rating of 4/5. I love the finish and how pigmented it is. It is the perfect mauve shade for me as I prefer this shade rather than wearing nudes that washes me out. I usually exfoliate my lips as part of my regime, therefore I have not experienced any flaking or any dryness with this product. Avocado oil was one of its ingredients and this is to provide comfort and nutrition for the lips. On the other hand, I will just keep wishing that someday we will have the Sephora Collections readily available here in the UK. Overall, I am very happy with it and will continue to buy the other shades from the collection (perhaps another holiday soon that has Sephora stores). 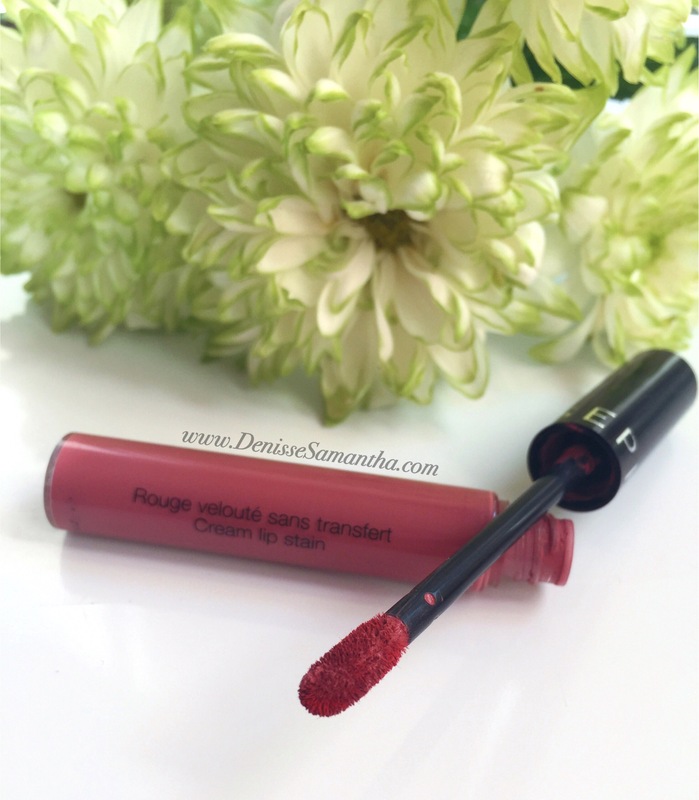 Have you tried the Sephora Lip Stain in Marvelous Mauve? If not, what is your favourite lip creams? 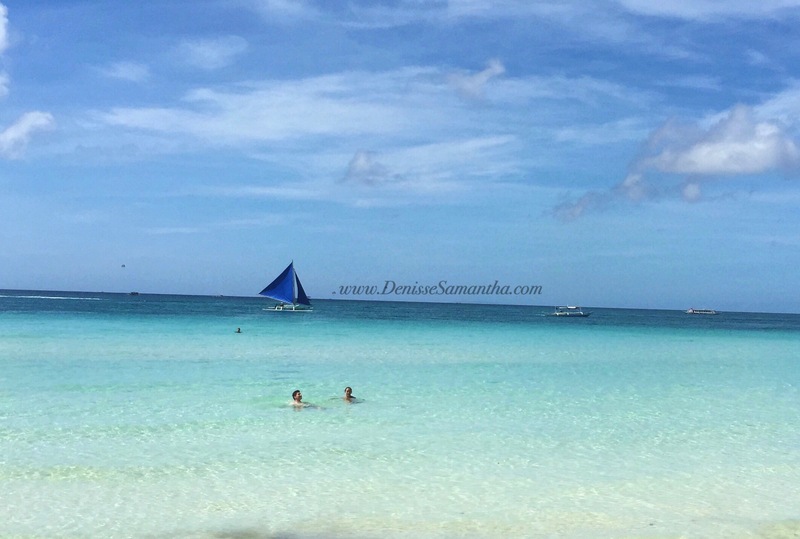 Boracay is a small beautiful island located in the Western Visayas region of the Philippines. 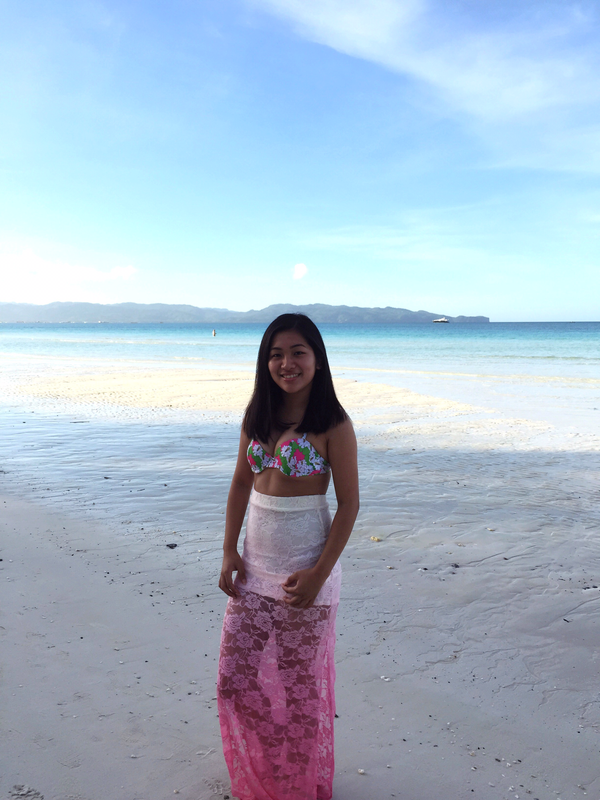 Every time people would find out that I’m from the Philippines, most especially my co-workers, I would always get asked if I have been to Boracay or either they will tell me their experience when they went there. 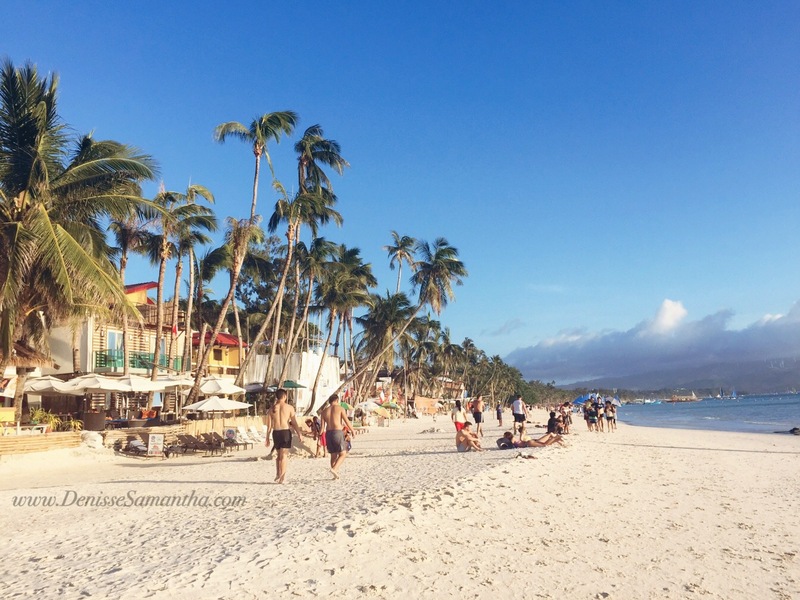 I have been seeing and hearing how amazing Boracay is from international travel magazines, blogs, vlogs and other social platforms. Therefore, when I had plans to go to the Philippines for holiday I definitely made sure that this beautiful island is on top of my list. Check out that fine, soft and white powdery sand! I love how clear the water is, it is so beautiful. Upon arrival, I was offered if I was interested in the activities. Boracay offers so many activities such as parasailing, paraw sailing, helmet diving, mermaid lessons, island hopping and so much more. Yummy four cheese pizza from Two Seasons Boracay Resort. 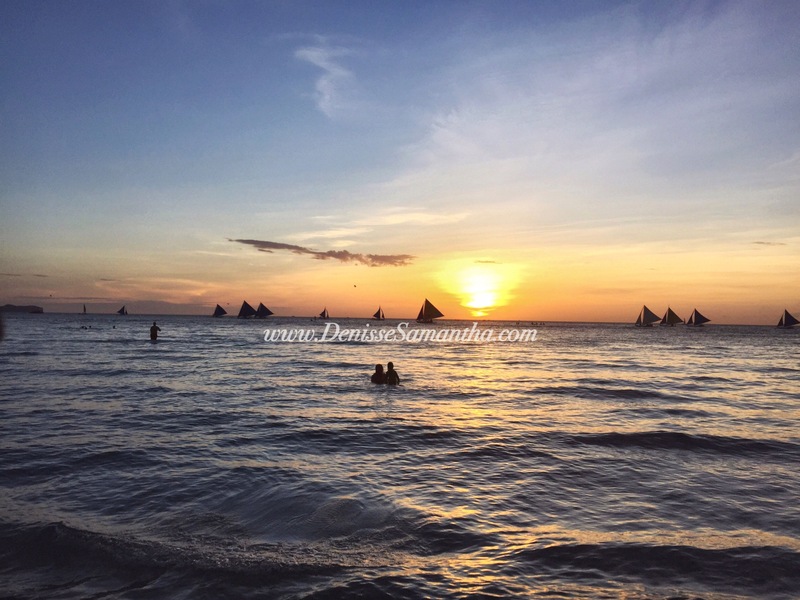 Boracay has the best sunsets! Well, I believe generally Philippines has the most amazing sunsets ever. For the whole time that I stayed in Boracay, I would never dare to miss the sunset. This is also the time when a lot of the paraw sailing comes out as it is the best time for photography. Boracay is also well known for its night life. There are so many venues to choose from, therefore I am sure the there will be something that will fit your style, whether this may be a wild party or a nice relaxing lounge with live music. There are a few clubs to choose from but if you prefer a certain style of music, it is worth checking their Facebook page first as they usually post what they will be playing on the night. As you can see I opted for a nice relaxing night! Bar Hopping with Pub Crawl is really popular in the area. They bring people together and rotate between nine bars/clubs and visit five of them each night. However, I clearly did not go down that route. I rather have my own drinks and chill! These are some of the souvenirs that they sell in Boracay but of course they also have the usual key rings, shirts and accessories made with shells. Usually they are able to personalise them and this is what we have bought for friends and family. 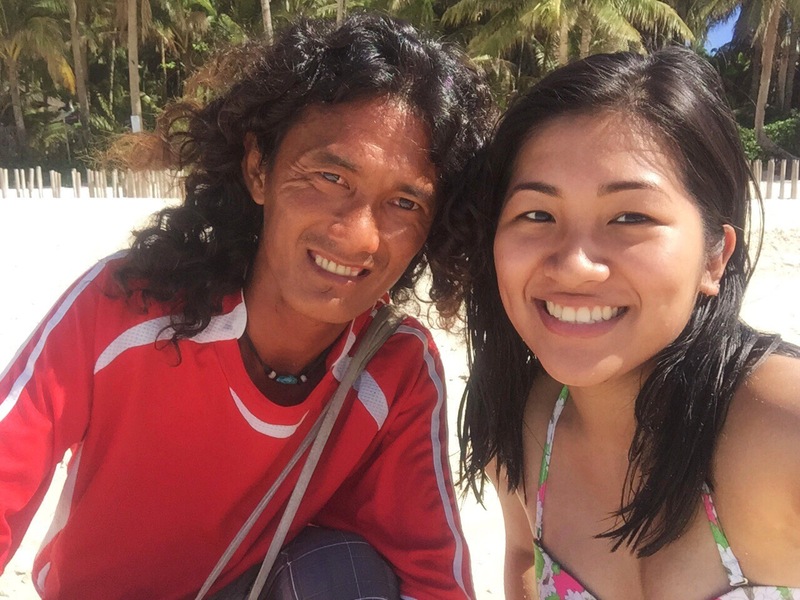 This is Kuya Jay, he was the vendor that was walking around by the beach. We purchased some of our souvenirs from him such as craft engraved rock/stones that he made himself. I have read a few blogs and some of them mentioned how annoying the local vendors are as they won’t leave people alone to enjoy the beach. I must say that I had the complete opposite experience, we saw Kuya Jay when we stayed at the Station 1 of the beach and we have told him that we are not interested in purchasing. This is due to my desire of walking around the beach and was not willing to carry items with me at the time. Kuya Jay politely went and walked away from us. However, after seeing him a few times after that, we have bought some of his souvenirs. We had such interesting conversations in regards to how it is being a local in the island. He gave us tips on where to go and eat, which are not the usual tourist spots. In addition to that, we have kept in touch and every few months he sends us sunset photos of Boracay via email. It was so nice to have met some of the locals and made friends with them. I was so happy that the water was so clear. I was skeptical at first because I was aware how crowded the island gets. 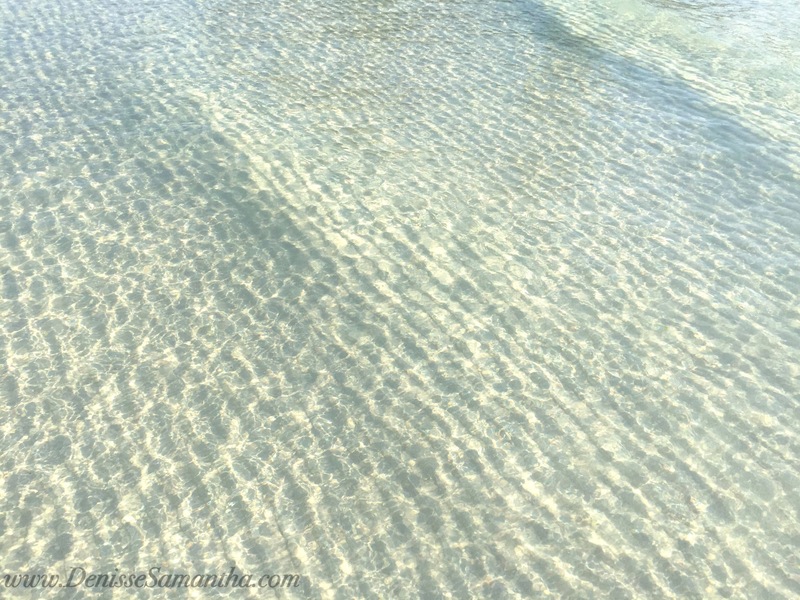 However, as you can see the water was so nice and at some point I was able to see the little fishes swim around (that’s how clear it was)! I missed taho* so much, this brings childhood memories for me. 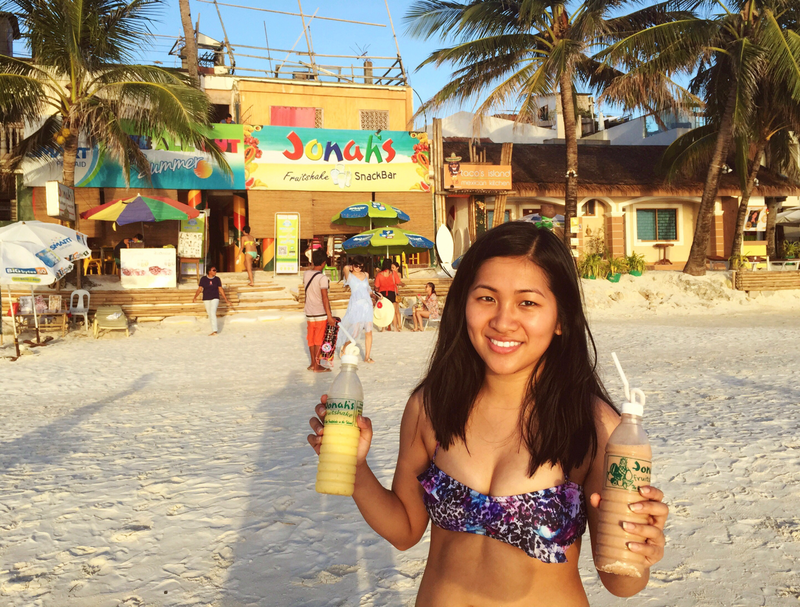 So when there were taho vendors at the beach, I would not think twice to purchase some. It is best to have early in the morning while strolling around the beach before it gets packed with people! *Taho- is a Philippine snack food, made of fresh soft/silken tofu, arnibal (sweeter and flavouring) and sago pearl (tapioca pearls). 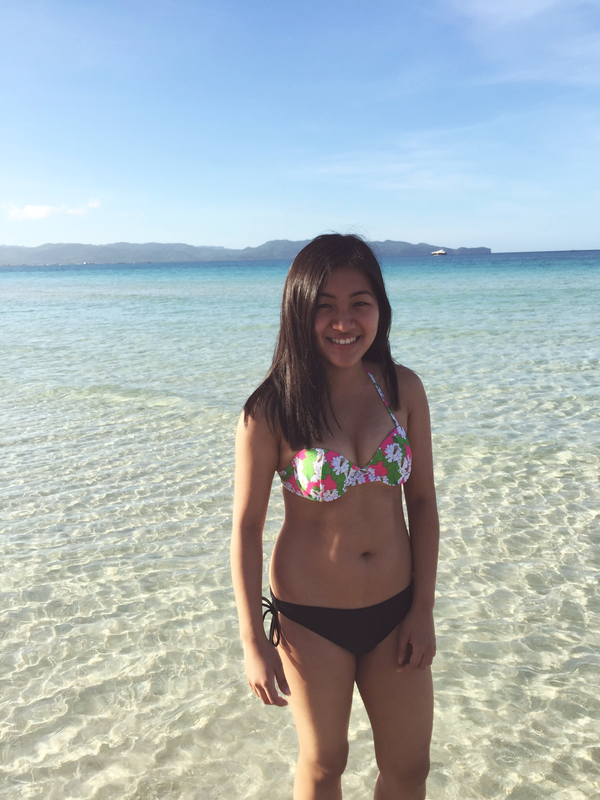 I will always love walking around the beach, it is definitely my thing! Jonah’s fruit shake and snack bar is a place that I definitely would recommend. It is not a fancy place to eat in but they do have such affordable, refreshing and delicious milkshakes. When we went there, the place was packed with people but we preferred to have our milkshakes by the beach anyway, so it wasn’t a problem for me at all. 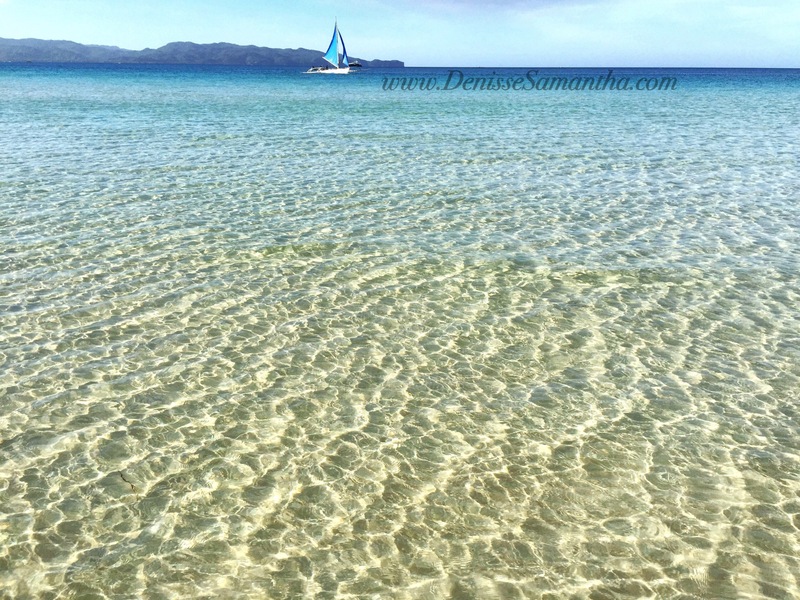 Loved the clean and clear water, it was so picture perfect with the hues of blue as the water goes further down. It was so relaxing to be in it especially when it is a hot sunny day. I have this thing with palm trees, theres something about it that makes me feel good. I guess its the tropical, summer vibe it makes you feel. I took a few more photos of palm trees but of course I do not want you to get bored of it so I only uploaded the one below. I must admit I don’t think all my adventures would have been as fun if it wasn’t for this guy right here. My travel buddy, best friend and life partner! I’m forever thankful for him and I am so grateful that it is him who I share experiences and create memories with. He is such an amazing person and yes I am one lucky girl! 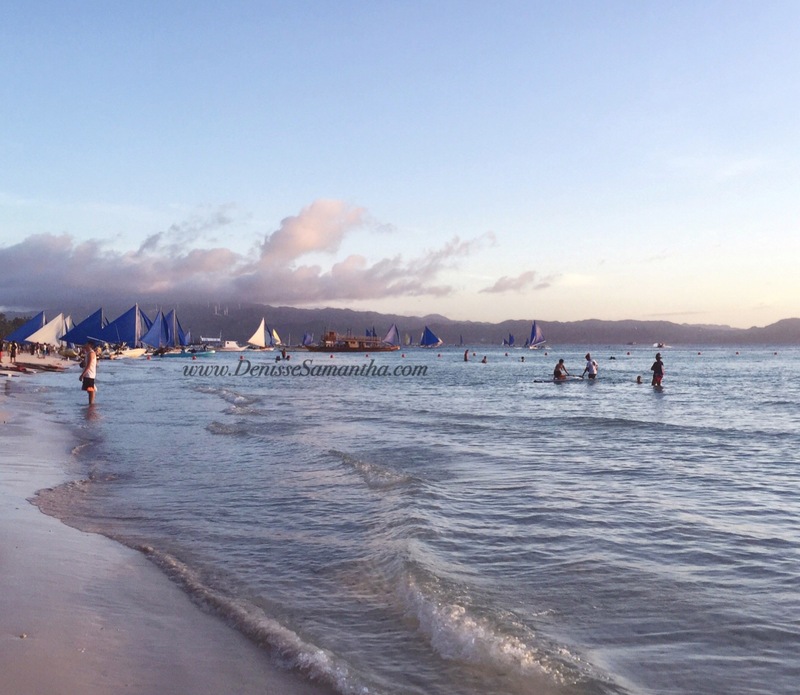 Boracay will always have a special place in our hearts. We have created so many beautiful memories that we will forever treasure. From simple walks while talking about our future, watching the sunsets, having conversations by the beach and exploring the place are some that I will never forget. As the day goes by, I fall even deeper in love with this guy. He makes my life so much more beautiful than it really is and I’m so excited for more adventures with him. 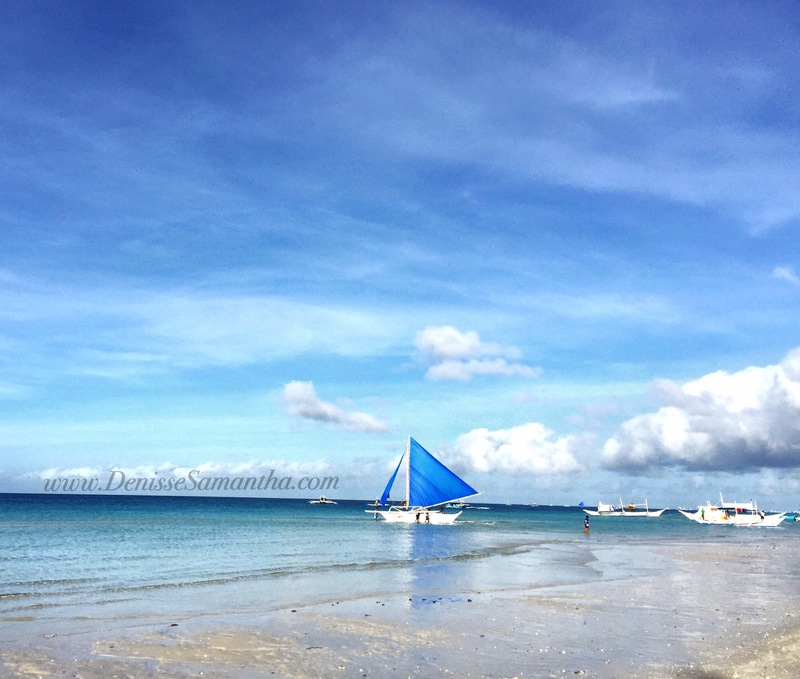 I hope you enjoyed reading my DeeWanderlust- Boracay Island post. Thank you very much for taking the time to read it. For now, it is time to plan our next holiday destination. Do you have any holiday plans? If so, which destination are you looking forward to go to? 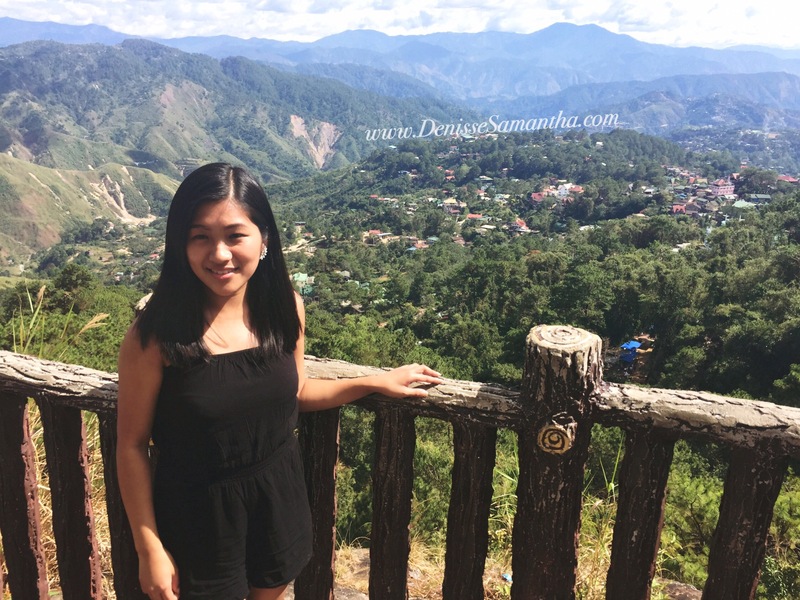 Baguio City is the summer capital of the Philippines as it is one of the coolest places in the country. Last time I was there was more than a decade ago. I was so sure that a lot of things has changed. 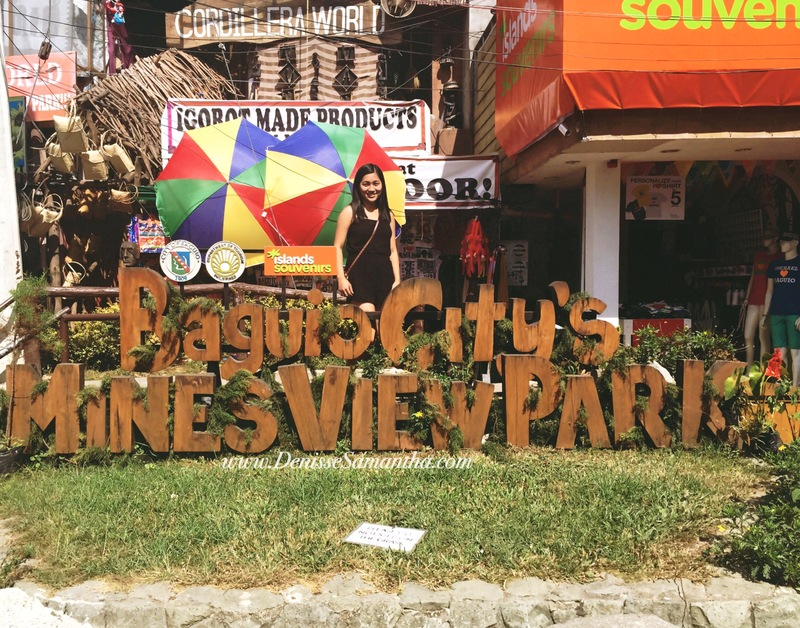 Therefore, when I knew that I was visiting Baguio City I was so excited. I had so much plans; the places I wanted to go to, things I wanted to see and dishes I wanted to try. However, the problem was I did not have much time to stay in this city. I wasn’t able to stay as long as I had planned to but I did not let that get in the way. I still had so much fun even though it was only a short sweet visit! 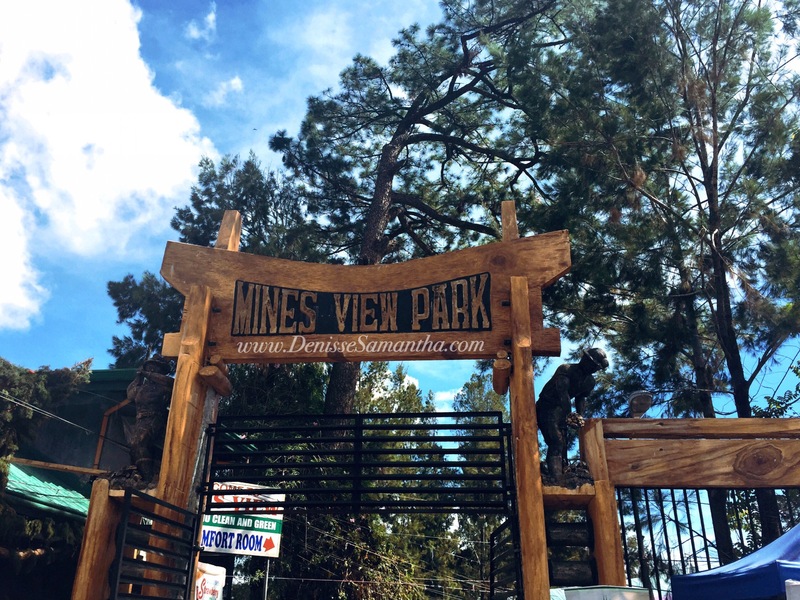 Mines View Park is one of the oldest attraction in the city. The photos below shows the entrance of the park. There are no fees to enter the premises. 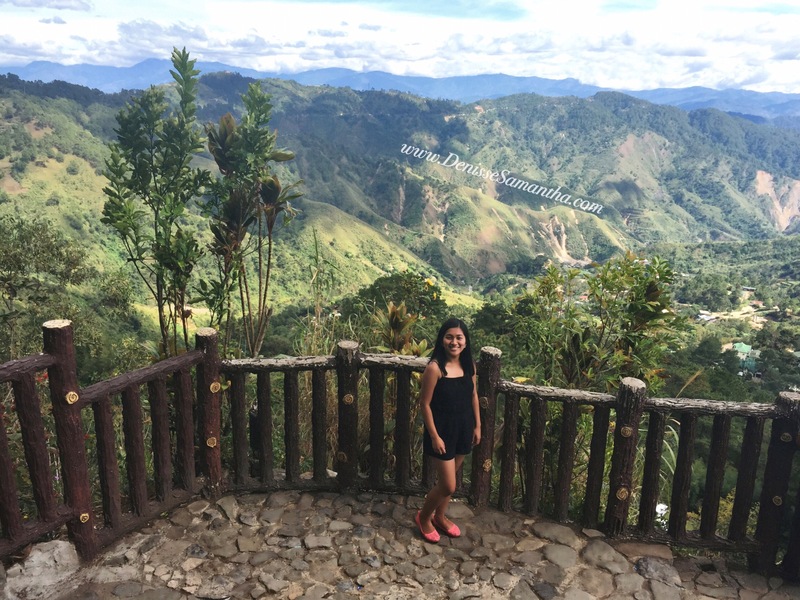 This is such an amazing photo of the Cordillera mountains. I love the backdrop of this photo. 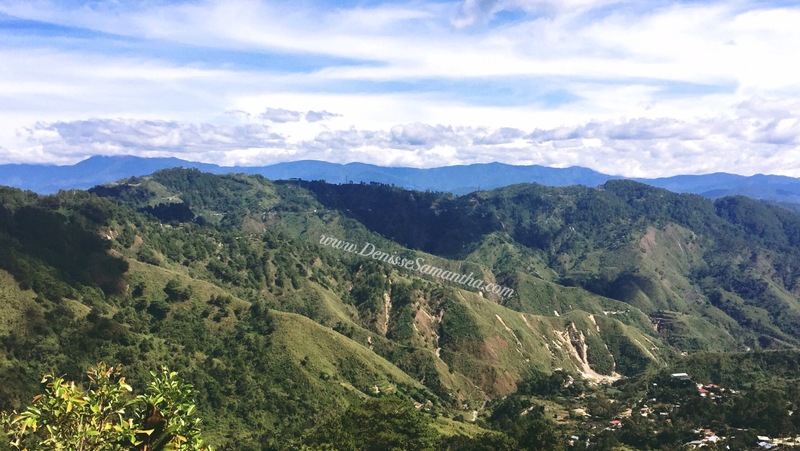 This shows the lovely view of Benguet’s gold and copper mines as well as the Cordillera mountains. 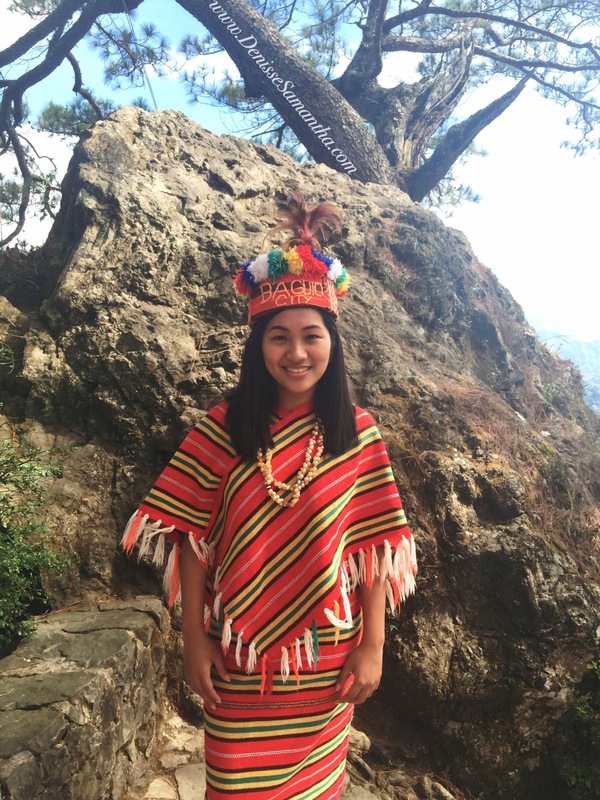 I had the chance to dress up in full Cordillera regalia. As you can see on the photo below, I got to wear tapis, vest, necklace and a headdress. For men’s, they usually make them wear the bahag, and accessories such as necklace, shield and spear. In addition, souvenirs were everywhere around this area. They offered different items such as knitted wears, woodwork and food. Unfortunately, I didn’t get to take photos of the souvenirs/market stalls. However, I can say that strawberries, ube jams, cashew, peanut brittle and lengua de gato are the most popular ones. They also have the usual souvenirs such as key rings, t-shirts, hoodies and many more. I know. I know. I know. 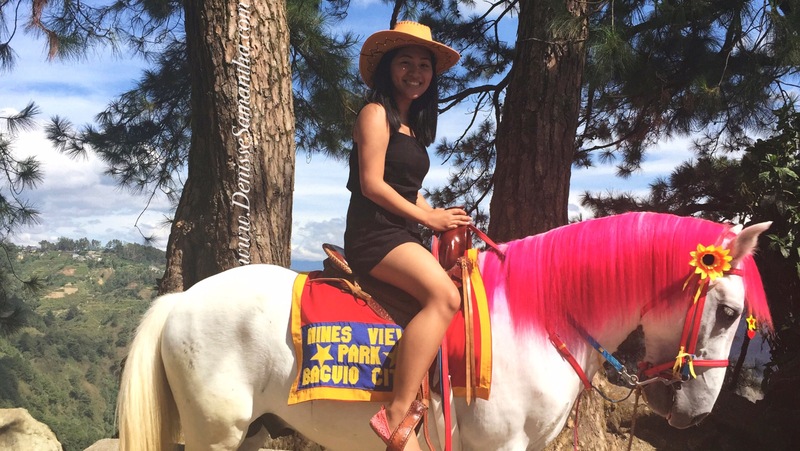 How pretty is this pink horse? 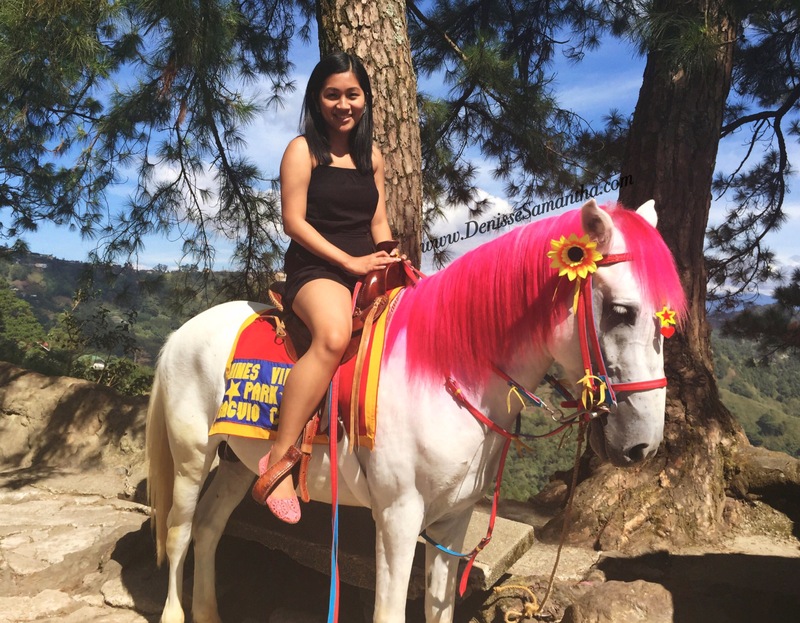 As soon as I saw it, I just had to take a photo with the adorable pink horsey. Where have you been recently for your holiday? Comment below and share your experience. Prague, Czech Republic is such a wonderful place. It will definitely be a city that I would want to go back to. It offers breathtaking views, historic gardens, gothic cathedrals and many more. I am so in love with Prague and I appreciate the city’s diversity of architecture as they have both historical and modern ones. There are some places that are less known attraction but ended up being the highlight of my trip. The food were amazing and relatively affordable in relation to prices of food here in London. The people were so friendly and helpful especially when I have to ask for directions, they seemed to not be annoyed with tourist asking them questions. They also have few shopping malls such asNový Smíchov, Palladium, Chodov and many more. I love how they have Sephora, I literally went inside Sephora every single day that I was there. I had to take advantage as for some strange reason we don’t have any Sephora stores in London, therefore Sephora line of products are quite hard to get hold of. Overall, I enjoyed my holiday as the city has full of character and life. I absolutely loved every bit of it. Also, when I was there the sun was shining throughout the whole week which made my stay even more amazing! Prague’s tram: The tram can actually access places like downtown Prague. These are the locations where the buses do not get to enter. They also have night trams, which runs from midnight to 4:30am but I would reccommend to first check the schedule if you are thinking of using it at night. Walk around the city: Walking is very much enjoyable in Prague. The good thing about it is that if you are close to a landmark, it is pretty much certain than you are surrounded with other good spots within walking distance. 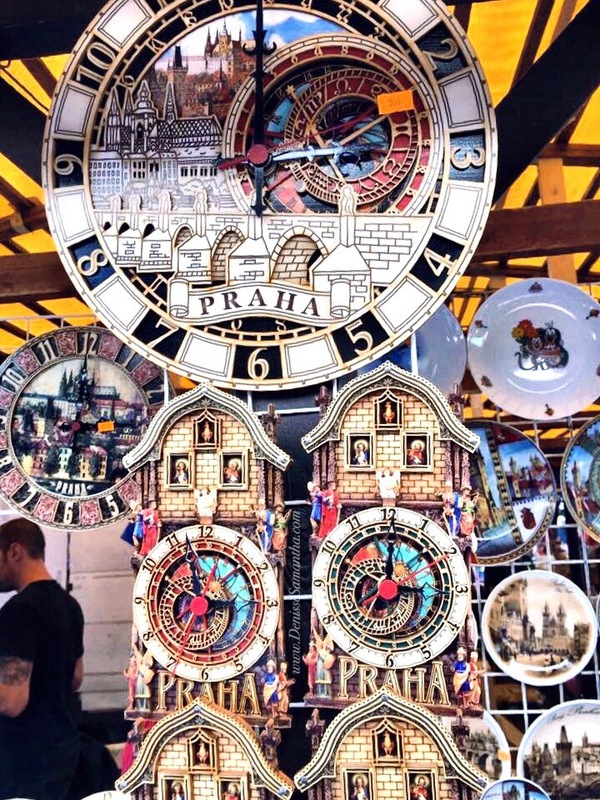 For instance, if you are in Old Town Square, the surrounding places around it are interesting (such as Charles Bridge and Wencelas Square) which are all within 30 minutes walk. Visit churches: There are full of historical architectures around the city and Prague’s churches are a must-visit. The photo below is St. Salvator Church in Cahrles Bridge, which is said to be one of the largest and most complex building in the Old Town. 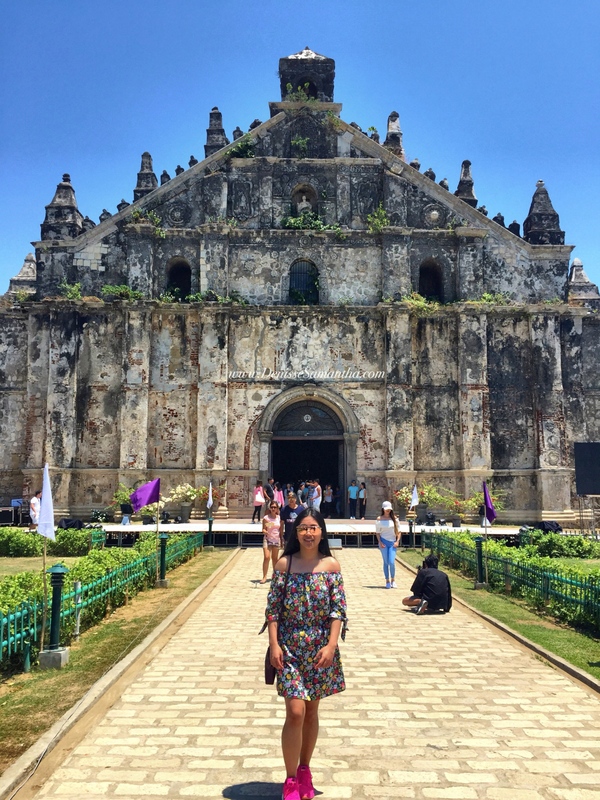 The baroque architectures, sandstone sculptures and a dome painted with fresco are some of the reasons why I find the St. Salvator Church so majestic. 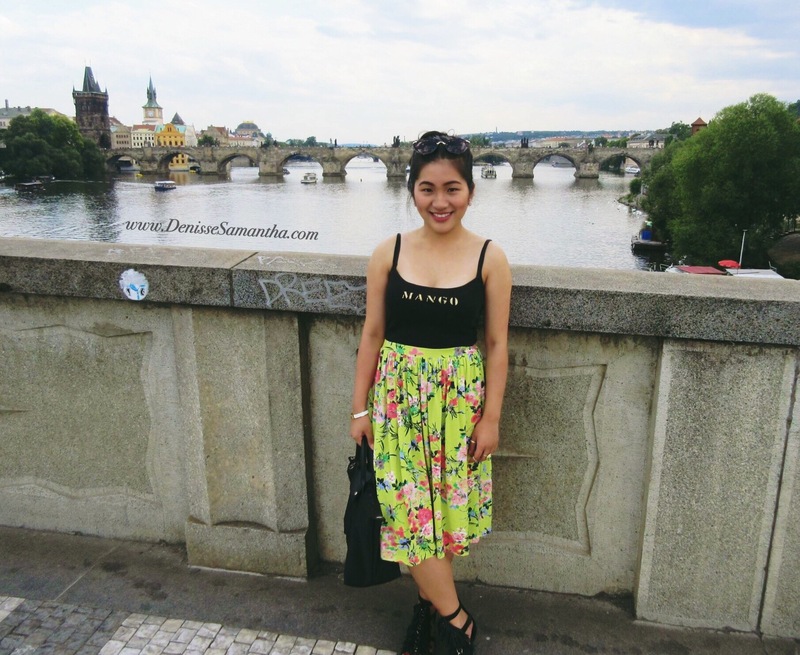 Enjoy the view: I found that one of the best views I got was when I went up the Prague Castle. It was so clear to me Prague is such a picturesque city. 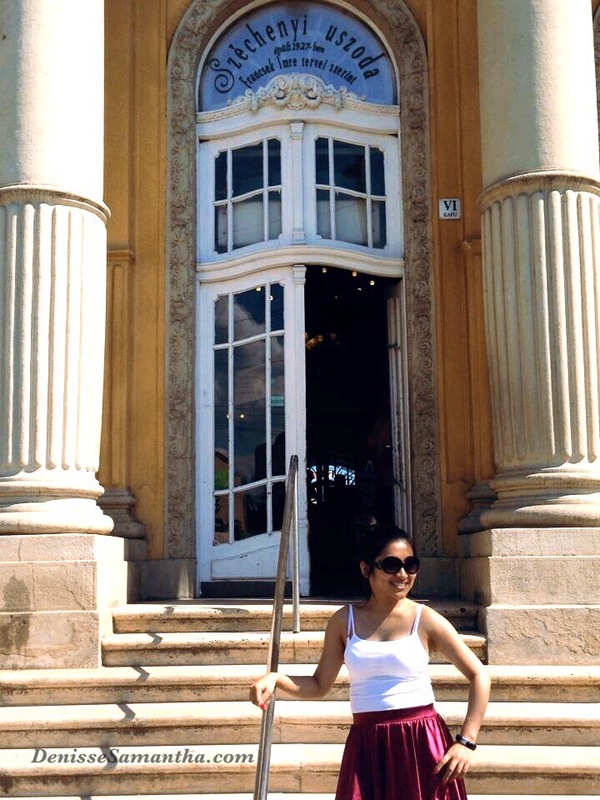 I definitely got to admire the ancient side of things and it was definitely something very memorable for me. Look up at the Astronomical Clock: this medieval clock was installed in the year 1410, which makes it the third-oldest astronomical clock in the world. I would recommend to wait to a round hour so that you will be able to watch the famous moving figures of the clock. This is located in the famous Old Town Square of Prague. Visit the Old Town Square: This has got to be one of my personal favourite spot in Prague. 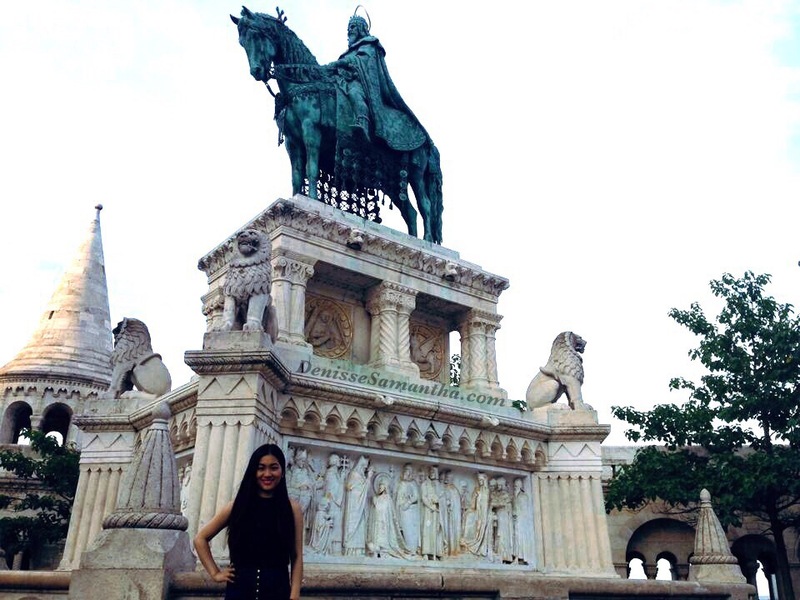 It is such a historic square, which is located between Charles Bridge and Wenceslas Square. I remember being here and admiring how magical the place looked. 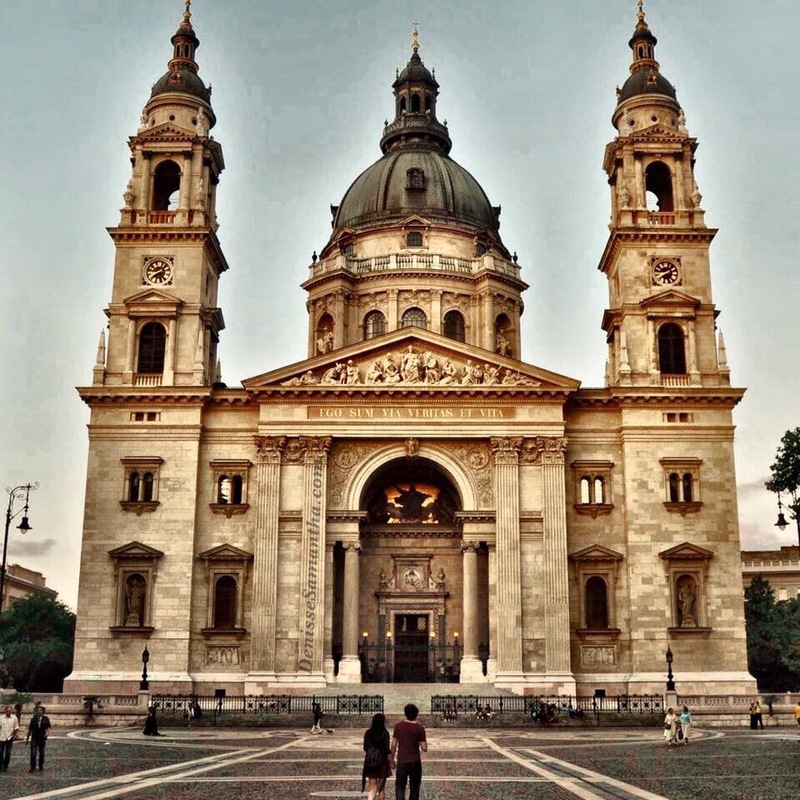 It has various architectural styles including the Gothic Church of our Lady before Týn, the astronomical clock and the Baroque St. Nicholas Church. It also features statues and memorials within the Town Square. What I love the most about this place is the vibe. It has such a fun and happy vibe. The place had street performers who were playing satisfying music from classical, pop to rock and other genre. Some were dance performers and magicians. The Old Town Square is a must visit when in Prague. Try the Czech traditional cuisines: There are loads of great restaurants and cafés all over the city. One of the most popular traditional side dish is knedliky (dumplings), which includes either pork or beef meat with sauce. 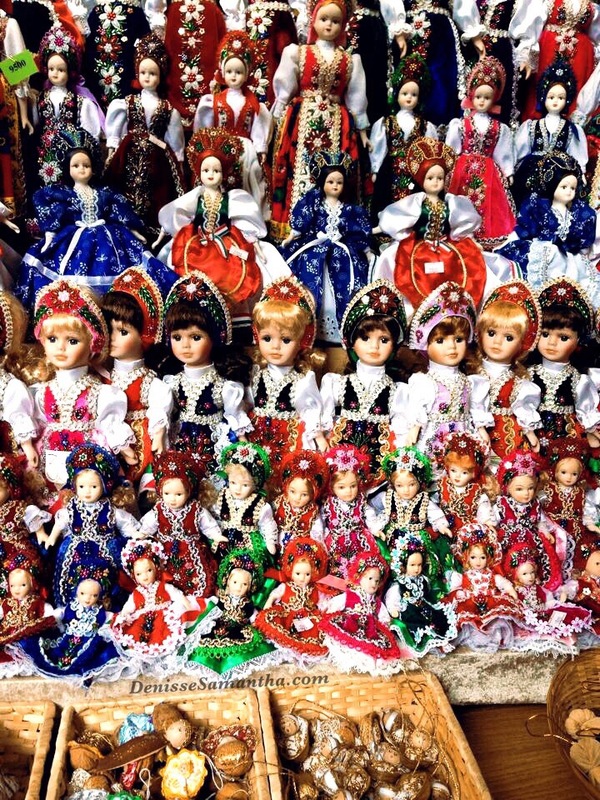 Tasteful Czech cuisines usually includes chicken, fish, duck, turkey, lamb and rabbit. I found that they also serve Guláš everywhere, which I love because it reminded me of my trip to Budapest. 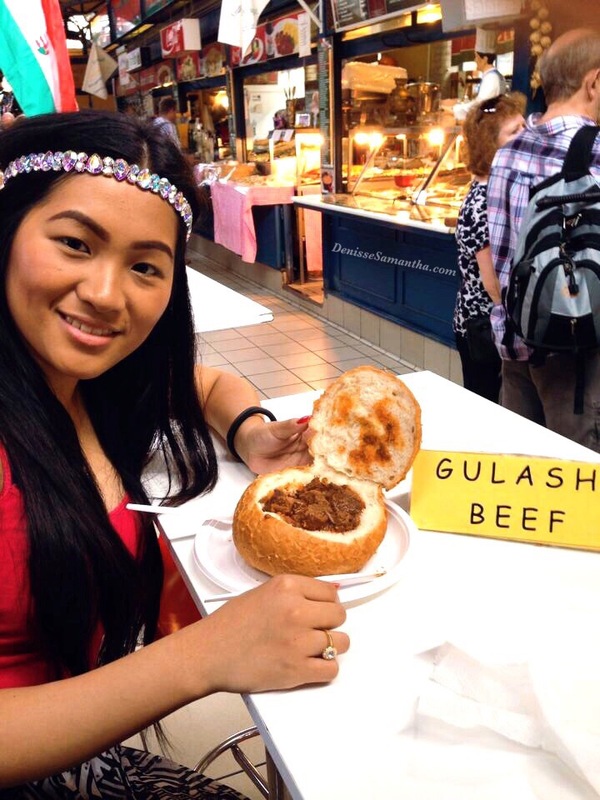 However, goulash actually belongs to the traditional Hungarian cuisine. The dishes mentioned are recommended to combine with beer and Prague offers loads of beer options aswell as their own brand of Pilsner Urquell. The photo below shows Czech’s traditional cake and sweet pastry, which is called trdelník. 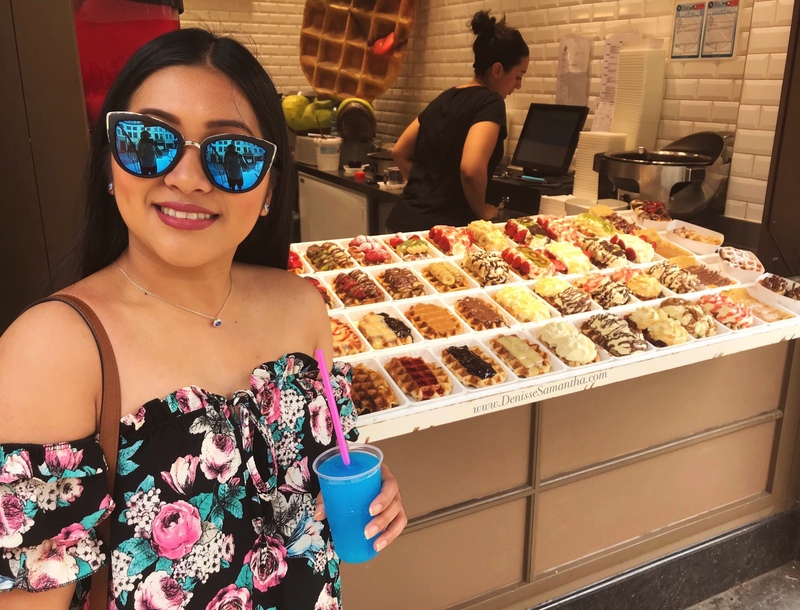 It is made from rolled dough that is wrapped around a stick, which they then grill and top with sugar and walnut mix and sometimes even coat with nutella. I totally enjoyed this potato chip spiral. This particular one from the photo below was located at the Old Town Square. It was perfect for snacks while I waited for the hour to watch the famous moving figures of the astronomical clock. Cross the Charles Bridge: This is one of the first tourist spot that I got to visit as I crossed the bridge on my first day of getting to the city. I absolutely love the Baroque statues, I have never seen anything like it before. It felt very medieval, it was like I was living in a different era. Even though the place was popular with tourists; it was somehow still very peaceful for me. I was admiring the unique structures of the building and I was definitely loving the vibe. I also got to dine in one of the restaurants by the bridge and it was such an amazing experience. It was very romantic as live classical music was playing while having delicious dinner and of course being surrounded by the beautiful scenery was so memorable. These are some of the paintings that they sell by the bridge. As you can see, they all look so lovely and the artists are clearly very talented. Out of all the photo that I took in Prague, the photo below has got to be one of my favorite. It looks so magical and it felt so wonderful being able to witness that kind of view. The river, trees, building and the sky are absolutely captured perfectly in a photo. I loved how the sun was peeking, which is also surrounded with blue skies. It felt like it was shining upon someone or something. I stayed in this spot for quite a while until the sun went down, which was so beautiful to witness. Tour Prague castle (breathtaking view): The other name for Prague Castle is Pražský Hrad, which is one of the most popular tourist attraction. The castle is located above Malá Strana (the Lesser Town). The good thing is that it is free to enter and wander around the courtyards of Prague Castle. 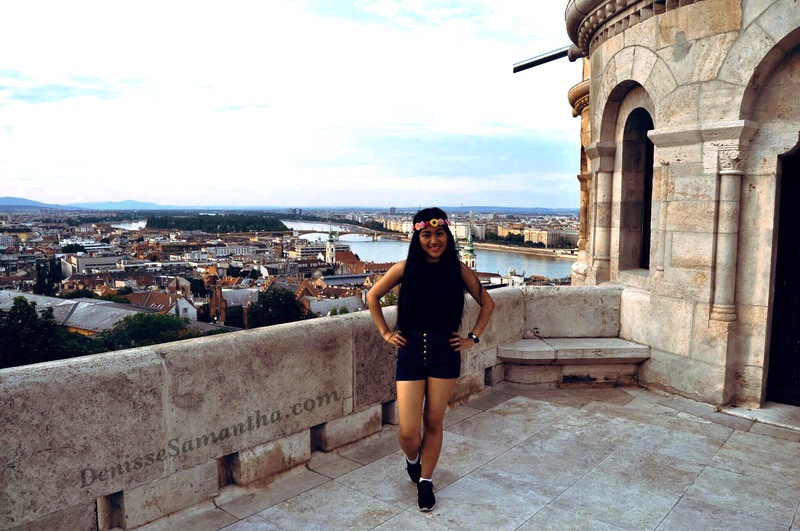 The view in the castle was truly breathtaking as you will be able to see the whole city from a different perspective. St. Vitus Cathedral: This cathedral is one of the most recognisable landmark in Prague. It is also the most important church in the country as it contains many Bohemian kings and Holy Roman Emperors’ tombs. I love the detail of the cathedral and its gothic architectural style. I admire the cathedral because of its rose window, the mosaic of the last judgement and its intricate stained glass design. 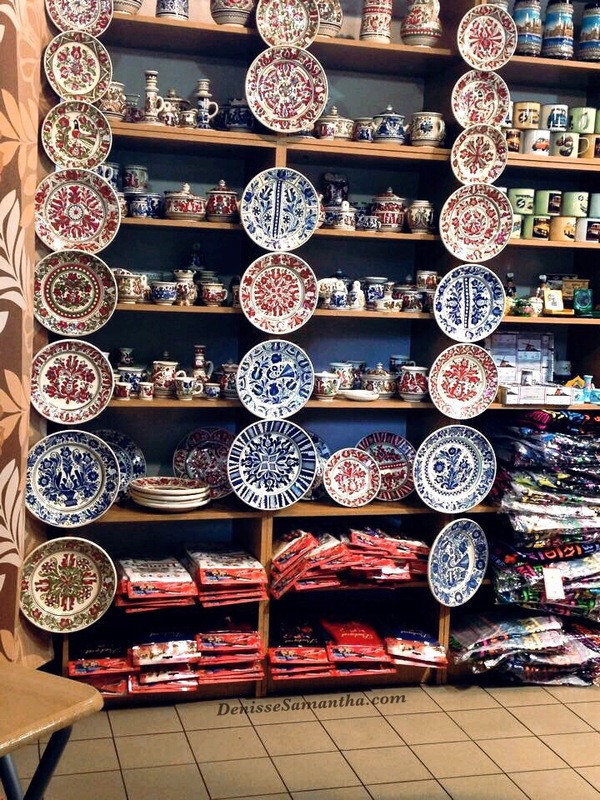 Check out some souvenirs: I would recommend to go to Havelske Trziste Market in Havelska Street for souvenirs as it is cheaper than buying it in the shops or malls. 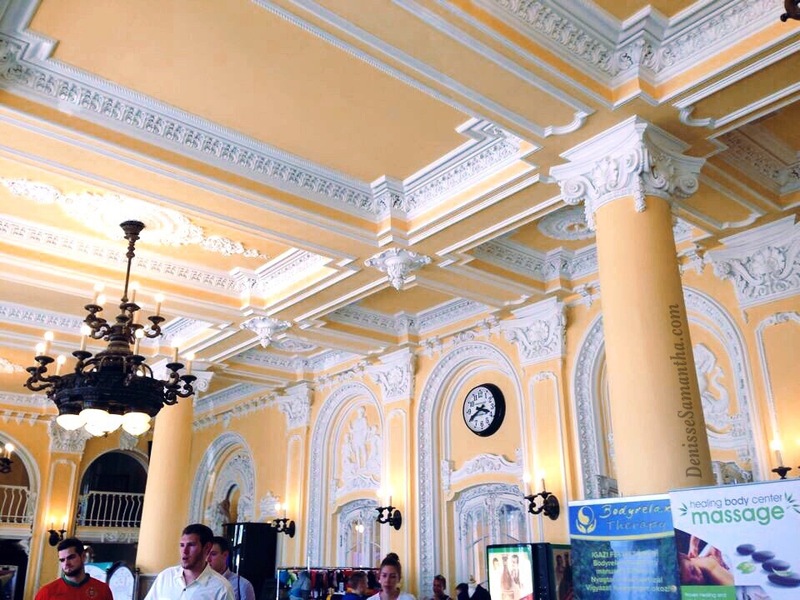 It is a permanent market that offers souvenirs, arts and crafts, chocolates, sweets, wooden toys, leather goods, ceramics, fruits, vegetables and many more. It is located off Melantrichova, a pedestrian route which links Wencelas Square with the Old Town Square. I enjoyed taking the public transport and the picture below shows how cool their stations are. 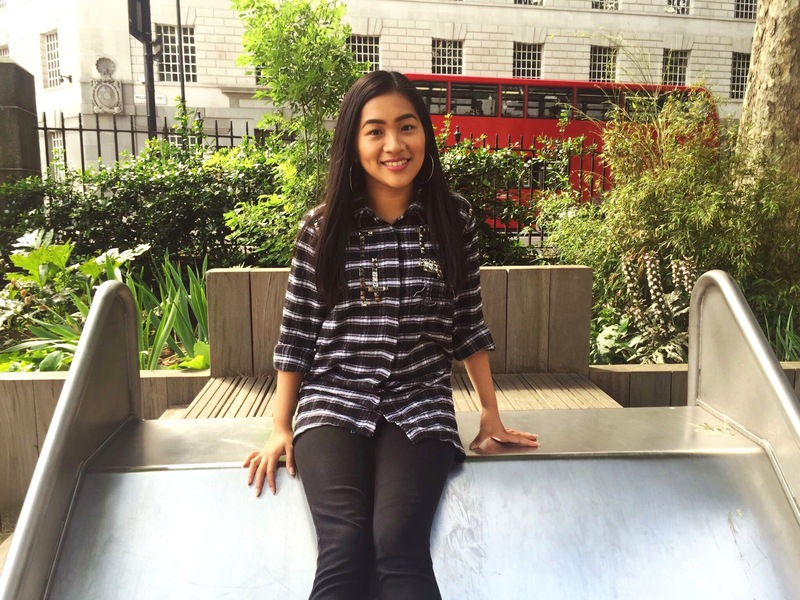 From my experience, the transport was very much straight forward, reliable and convenient. 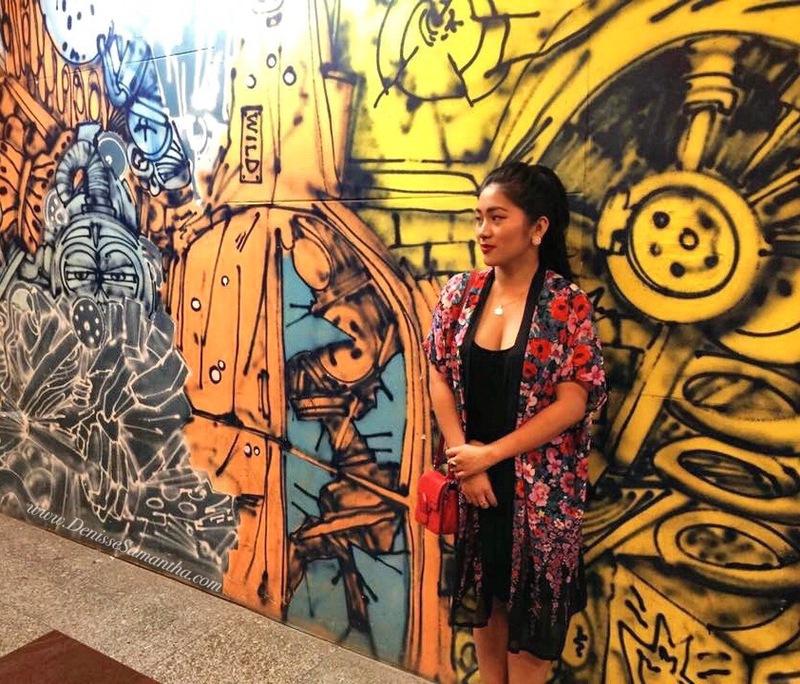 The stations’ design varies from a modern style to an artistic graffiti walls. 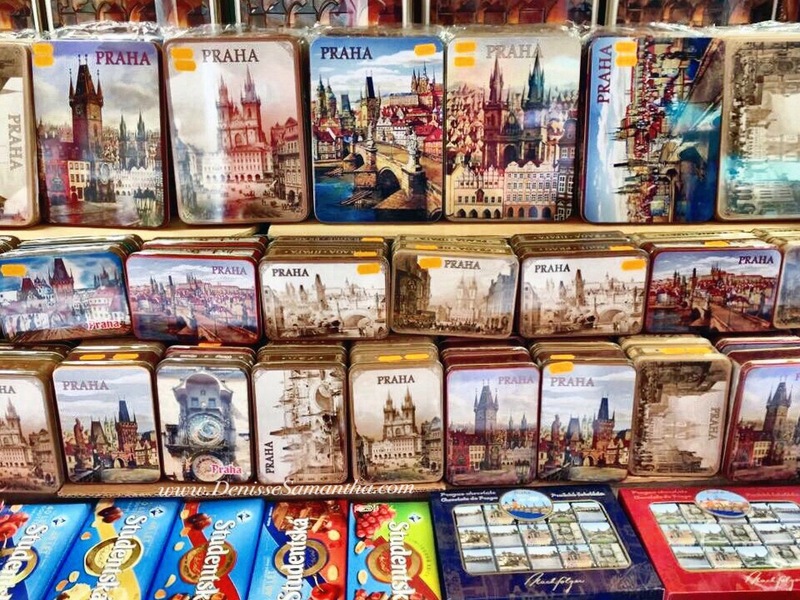 Have you been to Prague, Czech Republic? If so, how was your adventure and if you haven’t where was you last holiday and how was it? The architecture in this place is absolutely beautiful especially when you get to go on one of the tower’s terraces. The panoramic view from up above is stunning and very peaceful. 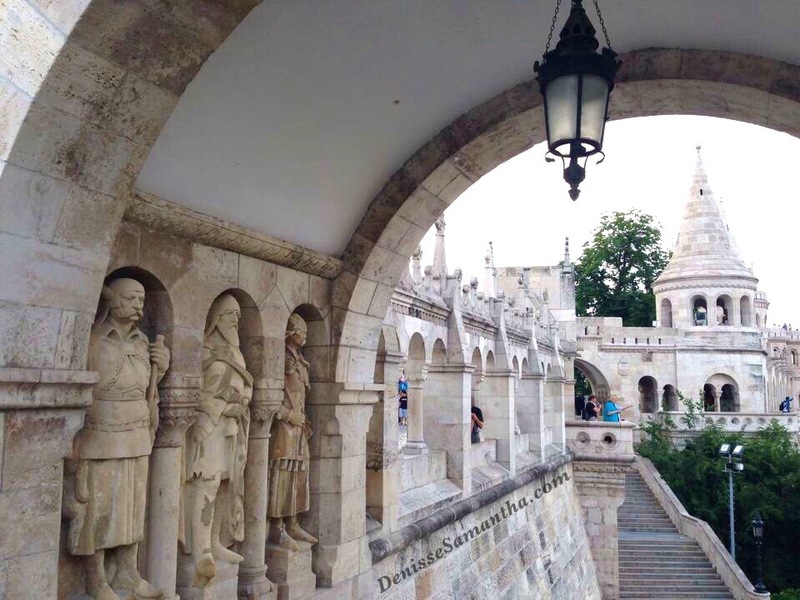 You will be able to look down on the Danube, Margaret Island, Pest and the Gellért Hill. 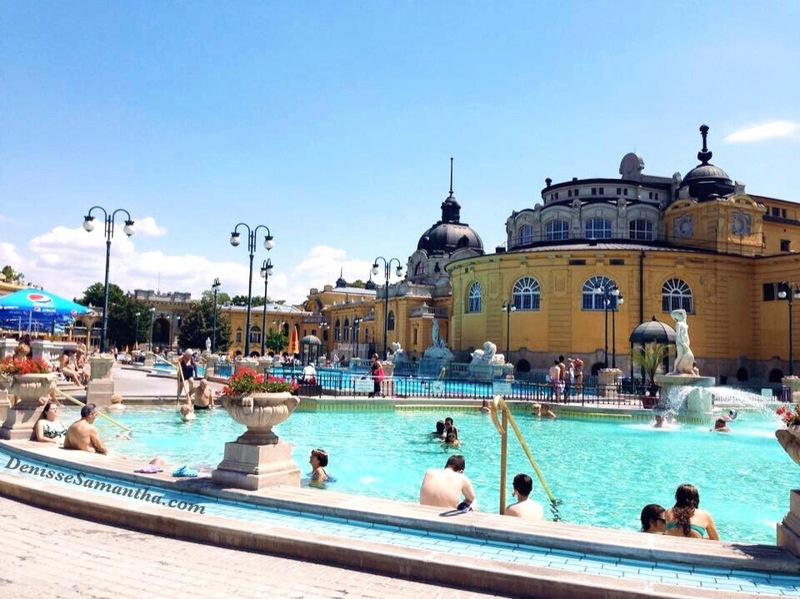 There are a lot of thermal baths and pools in Budapest but from my own experience I can recommend the Széchenyi Thermal Bath. 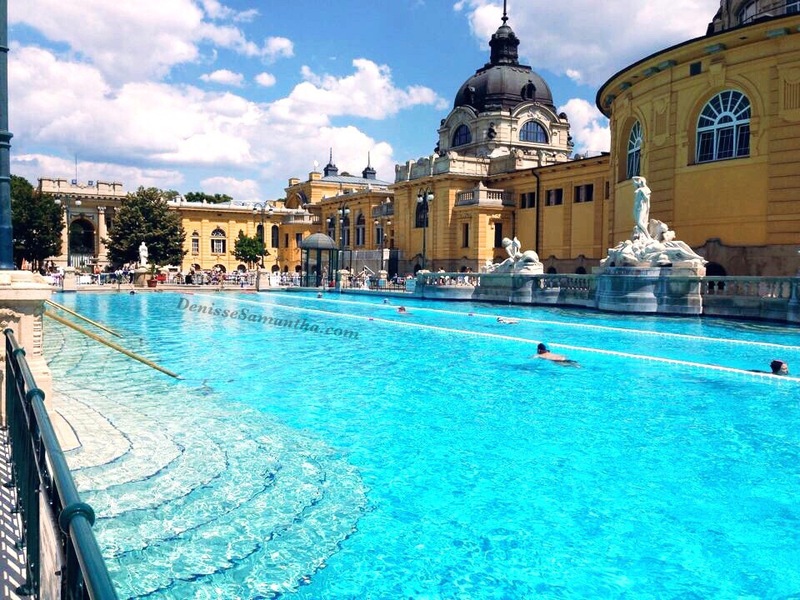 The pools in there has different variation of temperatures; the outdoor pools are 7 to 38 °C (81 to 100 °F) while the indoor pools are about 27 °C (81 °F). They also have saunas, steam rooms and massage services. I LOVE their ice cream and its creativity of the rose shape . 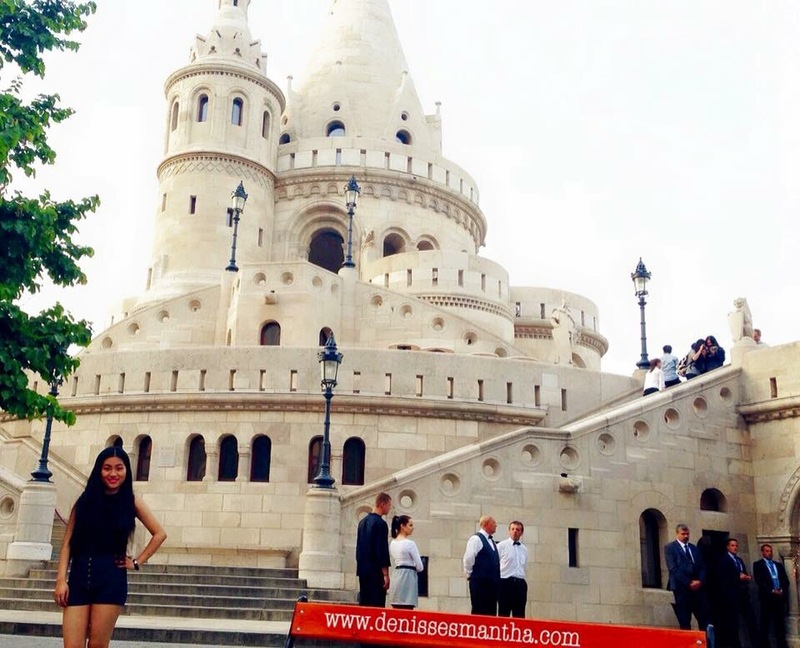 I was literally going back to it everyday when I was in Budapest. Their ice cream was super tasty and there was a decent amount of flavour varieties. I visited a few times in a row and I got the same excellent quality of customer service. 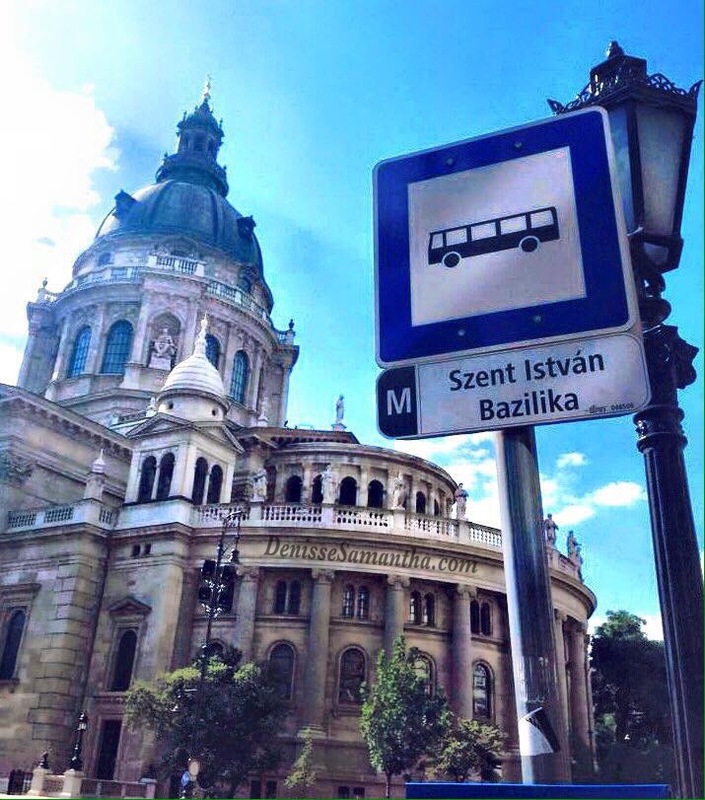 The place is located right next to St Stephen’s Basilica and here is their address: Szent Istvan ter 3, Budapest 1051, Hungary. This place is also known as the Central Market Hall. On the ground floor you will be able to find fresh fruits, vegetables, meats and Hungarian specialities. However, my favourite part was the first floor as it had a lot of eateries that offers warm Hungarian foods. 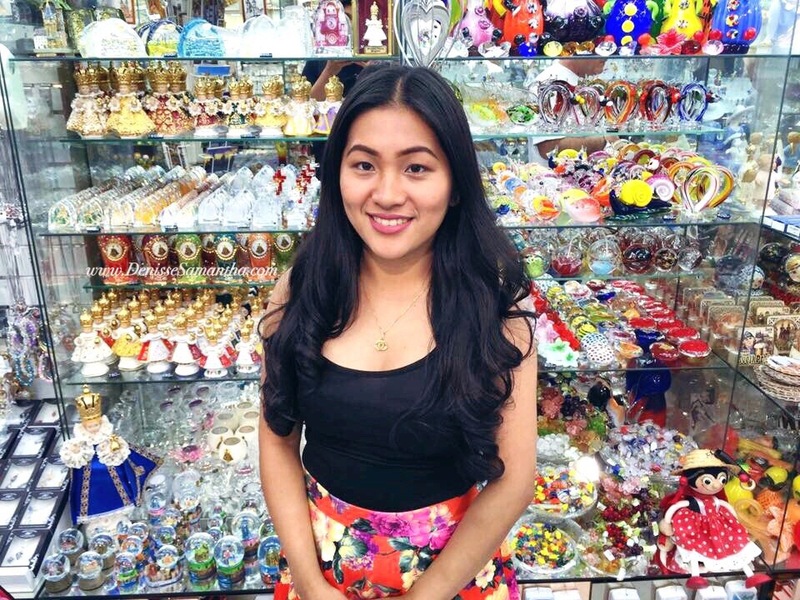 In addition, it was also the perfect place to shop for souvenirs as they are much cheaper than buying it from a souvenir shop. They had key rings, magnets, embroidery, lace, porcelain, crystal vases and so much more.